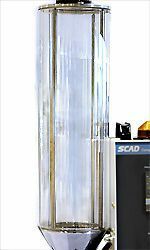 SCAD-1~6U adopts high temperature resistant glass pipe of double layer while SCAD-12~40U is made of stainless steel. 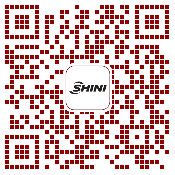 This machine adopts compact design, which means electrical components, heating pipe of small power and protection devices are set together in the control box. 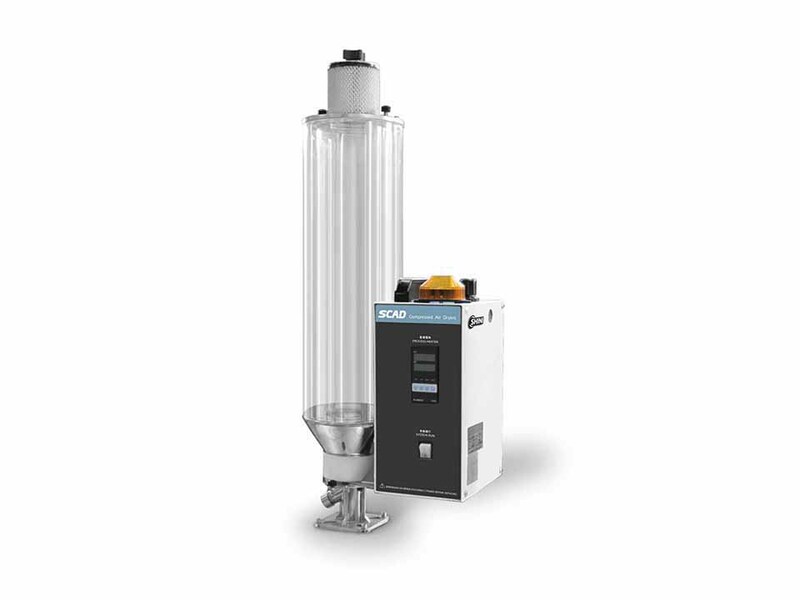 SCAD integrates plastic drying and conveying into one unit, which is especially applicable to vertical injection moulding machine and stand injection moulding machine when limited by height of the workshop. 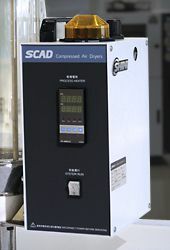 The SCAD adopts positive compressed air to load material so it has low noise level and low energy consumption. Euro design features classy appearance and easy for maintenance. The hot and dry air is formed by sending outfitted compressed air into pipe heaters. Unique up-blowing air pipe design makes hot air evenly spread out to achieve best drying effect.